When you’re reading this, I’m going to be going through security at the airport. I know, I know. Iceland is like, the place that everyone and their brother has been going in the last year. It has literally exploded in touristy popularity. So yeah, I’m jumping on the Nordic bandwagon and hitting the land of glaciers and vikings! If you’re surprised that I’m going, well, join the club…because so am I. This trip was actually a gift from my parents. My best friends in the world are going, and my parents wanted to give me this experience as a way to say thank you for the five months I spent at home helping my mom recover from her stroke back in December. Honestly, the time at home those five months was one of the most defining times of my life. I know technically, my mom was the one who was growing and blooming and getting her life back, but for me, that time was such a gift and growth period too: I was getting to be with my family. I was learning about who I was and what was important. And was being inspired every single day by the strength and courage my mom was showing, and the steadiness and faith my dad exuded. That season was as much a gift to me as it was to them. But any who. Better quit now before I bust a pipe and unleash the water works up in here! This is going to sound silly, but one of the biggest things I’m looking forward to in Iceland is getting away from my smart phone. Seriously, I’m so excited to just unplug and go explore some of God’s gorgeous landscape with friends who I’ve known since I was 3 years old. I think we’ve gotten so used to the magnificence and beauty of the world around us, that we’ve forgotten that God made all of it. Literally. Everything is a figment of His imagination. Created out of love. For you and me. The trees with their color-changing leaves. The flowers that scatter the mountain side. The birds with their whistling songs. And the waterfalls that majestically carve through stone. All reflect His glory and creativity. And all made to delight His children. And if that doesn’t make you feel loved, I don’t know what will. There’s so much negativity out there, that is constantly fed to us through our phones all day, every day. I recently listened to a TED talk about how much we use our phones every day, and it said that we pick up our phones roughly 75-85 times per day. And that sounded conservative to me. I mean, replying to comments alone is about double that. But you think about what we’re being fed through our little pocket computers: Social media is just one giant comparison match. The news belches out tragedies and hyper-slanted fabrications of the truth. Celebrities are either feuding, flaunting, or filling our hearts with envy or lust. Even sporting events have become political and scandalous. Sometimes, you just need to put the phone down, and take a walk in the wilderness. So that’s what I’m excited to do. And I can’t wait to share my adventures with you. (I’d love for you to follow along on Instagram! 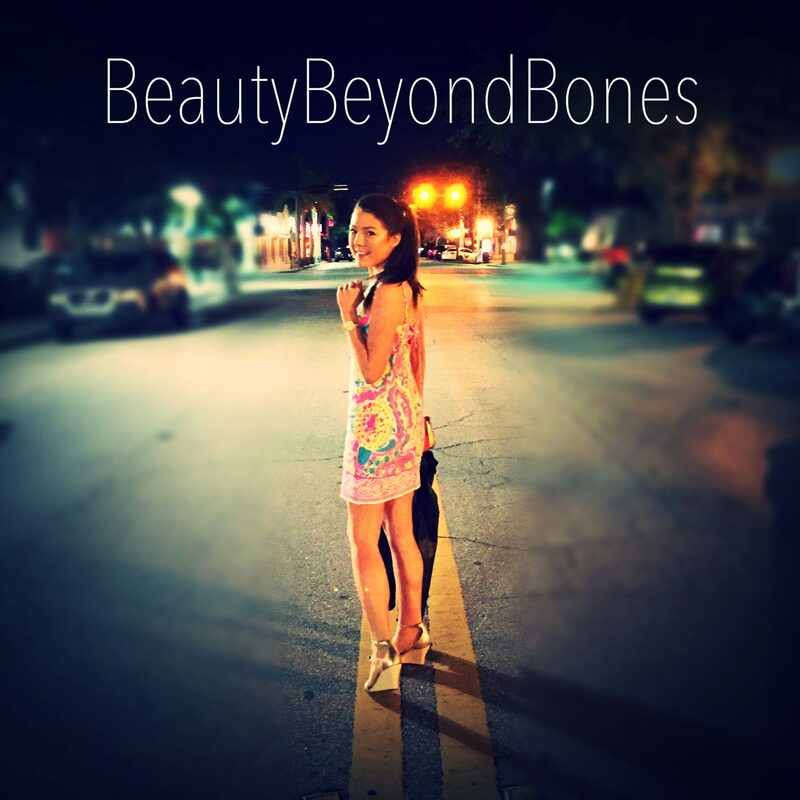 @beauty.beyond.bones ) I’m lugging my massive DSLR camera across the pond, so the pictures are going to be legit. 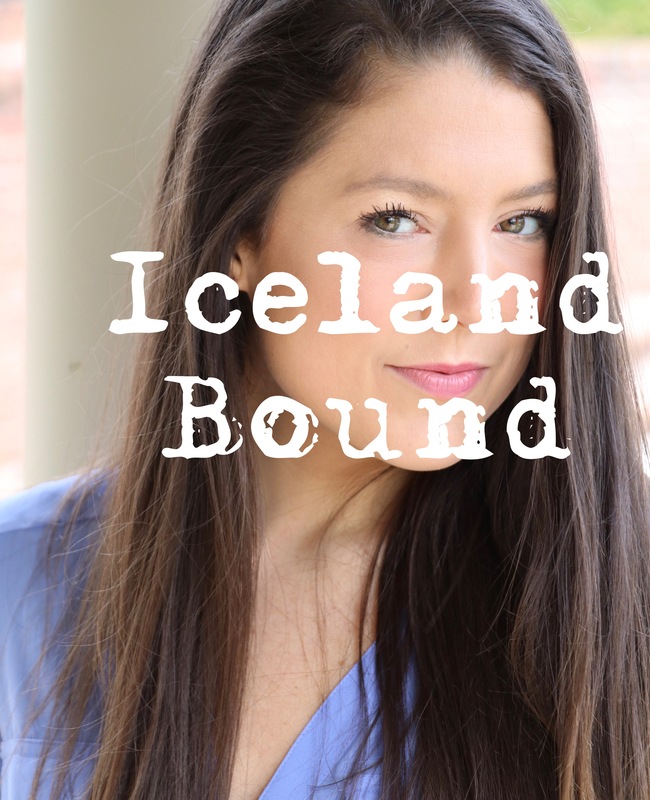 So Monday I’ll be tuning in from Iceland, and then THURSDAY the 31st IS MY BOOK LAUNCH!!! Have a beautiful weekend, friends. And I’ll talk to you soon from the other side of the world! Tell me: Where has been YOUR favorite destination!? Excited for your book launch! What a place to vacation; you have such kind-hearted parents. Enjoy it to the fullest and no glancing at ANYTHING without eclipse glasses. Have fun. We have never been there, but maybe some day. Our favorite destination so far has been Nova Scotia. We felt as if we were back in the 1950’s with the overall friendliness of people. Drivers actually slowed down to let us merge! Have a wonderful vacation…hope time slows down for you so that it is not over too quickly. God bless. Glad to hear your mother is recovering well. Enjoy Iceland! I spent a year there forever ago. Very fond memories of the people and places visited. So happy for you! Don’t know Instagram so when you back, maybe post a pic on here! What a wonderful opportunity. Don’t forget your flip flops, it’s summer there! Have fun…hug a penguin! You and your family will continue to be in my prayers! Travelin’ blessings! How fun! Can’t wait to see pictures! I hope you have a wonderful time. I’m excited to hear about your book launch. I have no doubt that God will use it. Also, I wanted to say thank you for being a caregiver to your mother. That may sound funny, but I encounter so many hospice patients who have no caregiver in their last days. While it is challenging, it is also rewarding. I have parents who have several health issues, and I want to return the favor for all they poured into my life. I know you will have great things to share from this great experience. Enjoy your impromptu (is this appropriate?! 😄) vacation and I’m sending you good vibes and prayers!!!! ☺️❤️ Also, congratulations for your (almost) launch!!!! Have an ah-MAZE-ing time over there!! I’m headed over to Instagram right now to follow you (not much of an instagrammer, but I don’t want to miss your pics!). My fav destination has been Heidelberg, Germany, where I studied for a semester during my senior year in college. Spent Christmas with a German family. The whole experience was wonderful. <3 Safe travels and soak it in GOOD!! I almost went to Maui. That’s funny. I kept thinking it’s a plain ride away. Oh well. I like the border of Montana. Same animals and less people. There’s some pretty odd museums there in Iceland. I agree the current state of the world is, unpalatable. My favorite place. Hm. Hmm. I like places I feel like I belong. Northern Hawaii or Montana. My comic book might be done when your book comes out. I’ve been drawing for almost 3000 hours now. I don’t expect to retire from it. Haha It’s not in good taste. Have a vacation and may only handsome single men buy your drinks. Oh! Can you see the black sand? Yes! We will in the next couple days! My friend has these interesting piano pieces they sound a lot like John Cage. Anyways, he’s from Iceland and said he grew up listening to the sounds of the island. The way, all the elements dance with each other. It’s a different time now. When everyone my age went to clubs and parties I went to war. I think, it’s where I became so serious. My favorite destination… good question. There are a lot of places I’ve enjoyed visiting, for different reasons. The first one that came to mind, though, is a certain small city on the other side of the country from me, where I have some friends who are almost like family to me. The town itself has a lot of history and character, and a culture different from that out here in California, and the surrounding area is beautifully scenic, also in a different way from the beautiful California scenery I grew up with. I have been to this place five times between 2003 and 2013, more than any other place outside of the Pacific time zone, and I promised one of my people back there that I would come visit before the end of 2018. The sad part of this story is that the place I’m talking about is Charlottesville, Va. And now everyone associates it with what happened a couple weeks ago, highlighting off the ugliest aspects of our personalities that our country has to offer right now. I just hope that doesn’t overshadow the good memories I have of that part of the country. At least it will be beautiful there. Have a great time! Have a wonderful time, relax, enjoy. Take in the beauty of your surroundings and get to know the locals. New Zealand, Jersey off the coast of Normandy and Guatemala are among my favorite places. All so different in scenery and culture. Looking forward to seeing photos of your adventure on IG. Wonderful, Caralyn. Nice gift from your parents. I’m sure you’ll enjoy it. Be safe; have fun. 🙂 Great to read of the book launch. I look forward to reading it. Wow! Sounds like a blast. I’m embarrassed to admit it, but I am so un-traveled. My first time out of the country was a year ago, in my 40s, and for work. I went to Madrid, Spain. I found that to be an unforgettable memory. Iceland will now have its loveliest visitor ever!! Yay! That sounds like so much fun! I have a long list of places I want to visit and Iceland is in the top 10. I look forward to seeing lots of great pics! Enjoy all of it because you deserve it! So cool! Have a great time. Your parents are the best! excited to read your posts about iceland. Do have a great trip. Looking forward to seeing the pictures on your Instagram handle as you promised. That’s really totally cool. Have a fabulous trip! Favorite destination: Alaska. Spent 3 months in the mountains helping at a Christian summer camp. I didn’t earn any money but the experience was worth it! I’m sure you’ll have a wonderful trip. I also wanted to thank you for reading and “liking” some of my posts on The True Man blog. Enjoy your trip. Looking forward to a full report of an exciting adventure upon your return. So cool! Yes, unplug from your smart phone and enjoy plugging into all the amazing experiences God has planned for you. This is your time. Cheers! Have a great trip! Iceland is beautiful. No place for a phone there😊. Also congrats on your book launch!!! So glad you get this time away in such a magnificent place! Congrats on your book launch as well. God bless dear one. Looking forward to those Instagram photos! For a little guy who’s only 5 foot 2 I’ve been all over the world some of the most bizarre countries I travel there either and books or in a plane. And yes sometimes a bus. I’ve been to Europe I’ve been to America. Perhaps one of the greatest trips I ever took happened in your home state where I flew home to be with friends for Easter. Yes I know the world is beautiful it’s landscape is great it scenery is magnificent but there’s nothing like being with God’s people even though I lost my passport on the airplane serves you right I flew with a Canadian company. I also suppose that I will buy your book when it comes out. I need your help though. I want the name of your publishers you can talk more to me when you get back for now please enjoy the ice cream and Iceland. Iceland! How exciting! I can’t wait to see photos. I love seeing such amazing nature and thinking, wow, God has an amazing imagination. I am, to put it mildly, a little jealous. This is on my list of things to do. I’ll be eagerly awaiting your photos! Have a great trip. Favorite destination hands down is Berlin. (To be fair, I’ve been out of the States exactly once, but still). It was also heartbreaking—I was there with a university group looking at human dignity in light of the Holocaust—and it realigned my world a little. It also showed me a new way of looking at God because I had to sit and consider harder questions/how to find God even in such devastating places. (Weirdly enough, it was kind of an extension of the questions/journey I’d been on since losing my dad, which is why I think it was so impactful). Lovely. I’d love to hike or run in Iceland some day. Films like ‘Walter Mitty’ helped increase Iceland’s popularity as a tourist destination with its volcanic landscapes and stark contrasts. Enjoy! Enjoy Iceland’s beauty, but remember to enjoy your own conquest, that which led you to this point. Praise God! But remember, to believe in yourself, and in everything you do, so that all is buoyed by your own rules, and even that with the Christ of all. The Northern Lights, even as they danced and twinkled for you, and you alone. Remember that, regardless of what others might say; the northern lights twinkled once, and upon a star, for you, and you alone! They hear you, and will answer in kind. You are special, Northern Lights beyond; you are special! My daughter and I just went to Iceland for her graduation trip. It was wonderful, but extremely expensive, so prepare for that. If you have a chance to do a tour of the south coast and the Golden Circle, do them! It is very much worth it. There is an English mass on Saturday evening in Reykjavik, and the church is lovely. Near the church is a very cool underground exhibit about the history of Iceland. Be safe and have a fabulous time! One of my favorite destinations is Alaska. Absolutely beautiful. I hope you have a wonderful time in Iceland! I’ve never left the US! I’ve never really even left the south, with the exception of NYC and Chicago for a weekend, which I hated because I’m a total homebody. I bet you’ll have so much fun! Can’t wait to see pictures. Enjoy! WOW! How exciting! It’s neat that you get to visit a lifelong friend. Have a great trip (I’ll buzz over to Instagram every now and then to see how it’s going). A huge congratulations on the book! Have a super-super trip, Caralyn!!! Oh, and I’m going to use a snippet of this post as one of my “Think About It” quotes…hope you don’t mind 😁😁. Exciting! Hope you post pics from your trip 🙂 My favorite place in the world is St. Lucia. BTW, I finally know your real name. You have a pretty name. (not to sound too creepy, but you really do). Woooo! Have a superb time Caralyn. And YESSSS…..BOOK LAUNCH!!! Praying for safe travels and blessed joys all along the way. God loves you, Caralyn. Love how you spell your name! Oh you’ll love it! The glaciers and volcanoes along with church ruins and you’ll want to stay. But don’t do that, we kind of like you back here in the USA! Take plenty of photos and enjoy the time to unwind! God Bless, The Old Iowegian. I am so sorry your mom had a stroke and she went through all of that. I hope she is doing better now. I am so excited for you to take your trip! Thank you for being willing to share your adventure with us. My husband and I own a bed and breakfast and we are not in a financial position at this time to just shut it down and take a trip so I get excited with I get to live vicariously through my traveling friends! This was a great post and a wonderful reminder that we need to put our phones away sometime and just stop to “smell the roses”. My phone actually seems to be a source of strength, beauty, and inspiration because I only look at it for the weather, email, and social media and the social media folks I follow always post positive, uplifting, beautiful things on their feed that do “feed me”. So maybe I need a break to let God do that once in a while instead. I hope you have a safe, relaxing, fantastic vacation and I look forward to following along! Congrats on your book! It seems like this is just the first step in a great new chapter for you! Funny you mentioned Iceland! My family and I are planning to do a trip there sometime soon. After everything you have been through you deserve it. Congrats with your new book too. Onwards and upwards! My favorite trip was Australia. I was halfway around the world without my parents at 17. It was an experience of a lifetime. What a wonderful gift from your parents. Have fun! On another note, I can totally relate on what it feels like to grow next to your loved one who is in need of your help. I took a year off school to be with my grandfather while he was at bed rest and it was the most rewarding time of my life. You learn so much! Your mom is so lucky!! Favorite destination I’ve been to is hands down Spain! Enjoy. It is my mother’s homeland and I have many relatives there. Try the cuisine and soak in the Blue Lagoon. Have a blessed visit! Excited to read about the adventure! Don’t forget me, remember I might used to come into your dream when you are a child. So that will qualify me as your childhood friend. About the vacation, I went to Pakistan northern part of it. It was awesome. I was out of smartphone usage, we bought one sim and I have put it in my wife phone. It’s one of the best vacations of my life so far. I was cutoff from the world almost. I have hardly used for 4 or 6 times for something important. So what you said I can 100% understand and support you. Hope you have an amazing trip!! Cannot wait to see photos!! Have fun in Iceland!!! So you picked up on the Iceland/Greenland naming trick did you? 😝 I agree that phone detoxes are awesome. I should do one soon. MAKE SURE YOU ANNOUNCE YOUR BOOK AS SOON AS IT LAUNCHES SO I CAN BUY IT!!! Thanks so much! Yes! Aw you’re so sweet. Thursday’s the big day!! Good for you your going to Iceland. I hope you have a good time. My favorite spot- has to be Florida and Treasure Lake in Dubois, PA. I can only imagine what your thinking When I say PA. It’s a great place to vacation. Would love to go to Scotland and backpack south through Europe, visiting historical war sites and memorials all the way to Greece! Have fun and be safe Caralyn! Yes, Iceland’s tourism has been blooming all thanks to their national football team at Euro 2016. I can’t wait to read your book. All the best. The line that sticks out the most is when you wrote about unplugging from your phone. I spend less time on mine than the rest of my family, but I feel it is still too much. Thank you for the reminder. In answer to your question about the best place: North Shore. It is on Lake Superior in Northern Minnesota. Best place ever! I hope your book launch went exceptionally well, Caralyn…! I’m excited for you. Judging by your blog posts I can imagine how remarkable your book would be. And have a great time in the heavenly Iceland. I’m a little behind on your posts but how awesome is this!!! !